During the last 25 years, we have studied the sexual phase of the life cycle in many genera and species of diatoms. 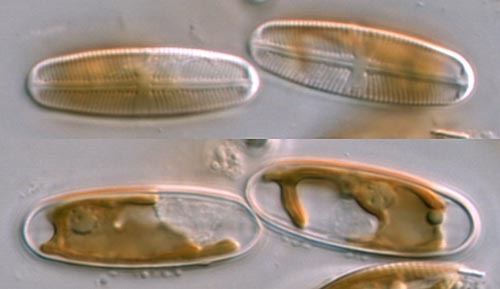 The 'Auxospores' pages of Algae World will give an Introduction to the life cycle of diatoms, review what is know about the sexual phase, and detail the research we and colleagues have done. At the moment the links at the left are 'dead', indicating what we plan to include.